I have seen similar posts on the Hyundai forums but nothing specifically targeted towards fixing what I consider a design flaw. Is there anyone who knows how to modify the dash cluster illumination power to allow the backlighting to run full time without the parking/running lights or headlights being switched on? The ET dash cluster is EXTREMELY dark compared to just about any other car I have owned or driven in the past. When backlit, it is acceptable. 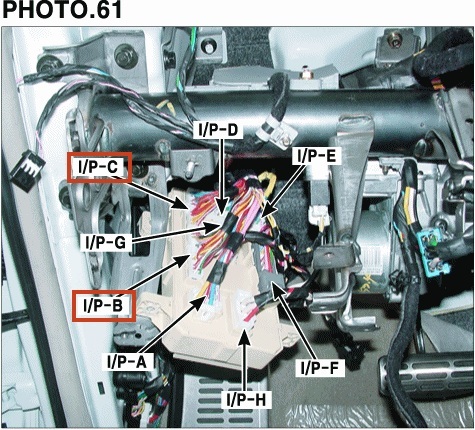 I would like to do a simple wiring mod to power the cluster lights as soon as the ignition is in the "ON" position and while the car is running. Someone MUST have done this already... 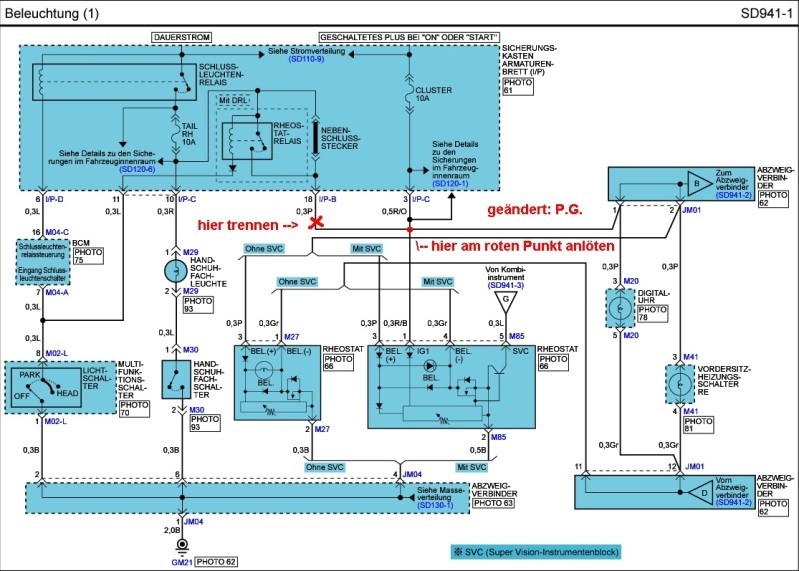 Even a nice clear wiring schematic of that circuit would be of great help. Any takers? I have found a solution to solve the problem now, and installed in my i30 cw facelift ISG. Everything works perfectly, the instrument lights and also the illuminated pushbuttons, switches, cigarette lighter etc., when ignition key to "ON" and also the rheostat does what he have to do, independent if the headlights switch is on or off. And now the best: The whole work are 15 minutes, costs 5 mm solder and 2 cm Scotch tape!